I am so behind with blog posts at the moment, so this is from 2 weeks ago now. For the final weekend of the summer holidays we had booked a Friday night in Brighton. 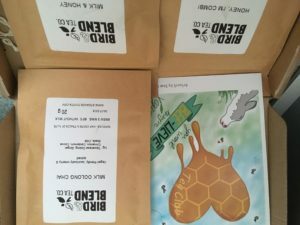 After getting the train down and dropping our bags off at the hotel, we made it to Bird&Blend tea for drinks to take with us on a lovely long walk along to Hove Prom. We had dinner in Leon and then the next morning I went to parkrun and we met for breakfast after in Cafe Coho (I love their pancakes with berries). 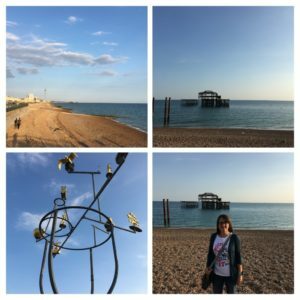 Then we had the rest of the day to wander around Brighton. We headed East along the coast (we normally go West towards Hove) and saw a sort of car drag race thing happening (an official thing with a start and end gantry) so we watched that for a bit. It was really hot and there were so many people sunbathing on the beaches. We went around the shops in the lanes for a bit in the afternoon, and when we felt we needed a sit down, went into Cloud 9 for some tea and a piece of cake to share. Then we walked back to Hove, before going to Food for Friends for dinner. We had sat down at the table and began looking at the menu when we were approached by one of the members of staff, asking if we could move because we’d been sat at the wrong table by mistake, and they needed to put our table with some others for a bigger reservation. Of course this was fine with us, but they were so apologetic and told us we could have bread and olives as an apology. This was lovely of them, and it wasn’t something we would usually order but it was a great selection of different breads with the all important balsamic vinegar to dip into. Before going to the train station I wanted to stop off at Bird&Blend (I am doing so well not calling them Bluebird any more) as they made a Brighton cup which I had looked at on the Friday but hadn’t decided. Anyway, I also wanted to go there on the Saturday as it was the 1st September and I wanted to get some of the “Honey I’m Comb” tea from the tea club ( out in September). (Yes, still having the problems with the upside-down photos…) but when I asked about it, they told me that they were in store but not on sale until the Sunday- insert sad face. They were so lovely and when I ordered an Earl Grey cream latte for the train journey (basically a London Fog- Earl grey + vanilla + steamed almond milk) they told me it was free as a way of an apology, which of course they didn’t need to do. We would just have to head to another one before the end of September! Of course, anyone who has got a train recently will know what a faff it can be, and after getting to the station with 10 mins to spare, our train was promptly cancelled. We managed to get a Gatwick Express and then change there, so it wasn’t as bad as it could have been. On the Sunday morning I did 7 sunny miles before getting myself sorted for going back to work on the Monday- how have those 6 weeks gone by so fast? Author Maria RunsPosted on September 16, 2018 Categories General ramblings, Stuff I love! I know- neither of them needed to do it but yes, such a lovely gesture. 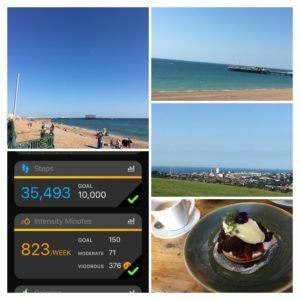 Previous Previous post: Bevendean Down parkrun- what amazing views! Next Next post: Rushmoor parkrun- one step closer to Bingo!